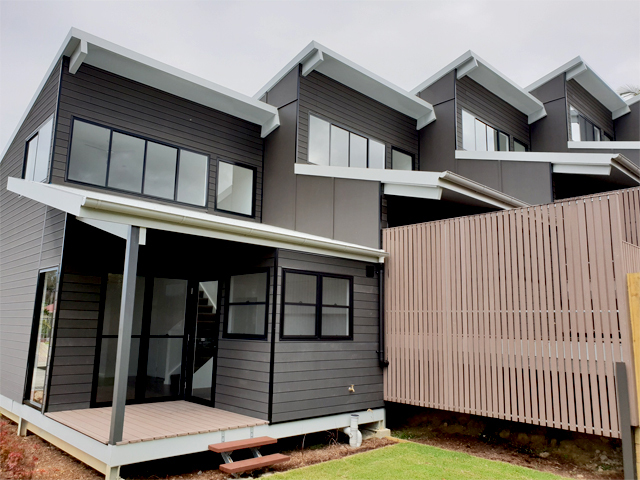 A recent townhouse development project in Ocean Shores required a strong, long-lasting timber cladding that would face up against the harsh salt water environment. 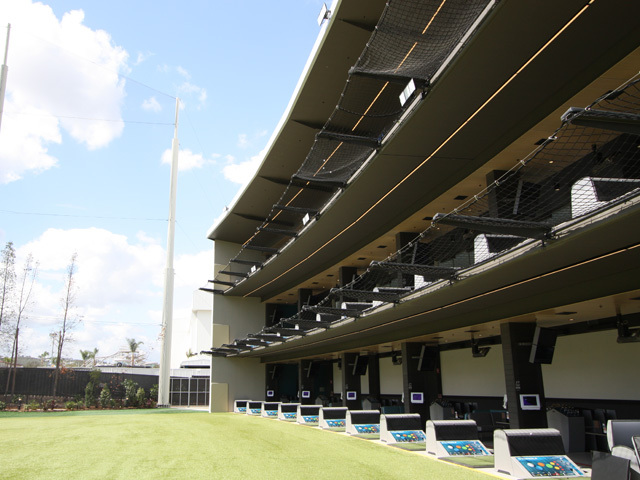 Futurewood’s EnviroSlat cladding and CleverDeck decking were the perfect solution. Developing lower cost and environmentally sustainable town houses is not an easy task. 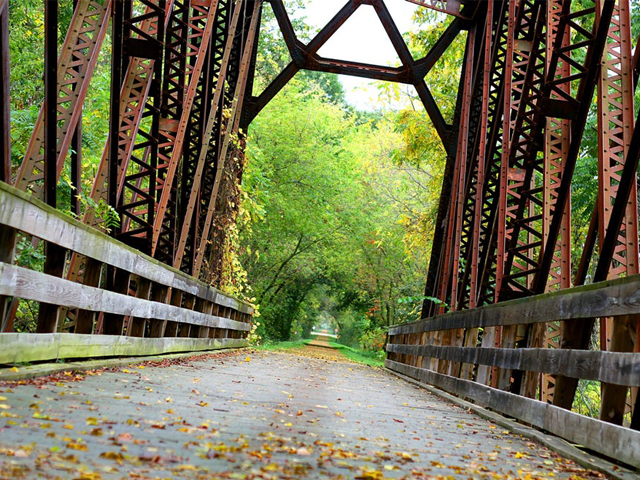 Making sure that your development looks good and fits in with the community expectations as well as meeting the builders and developers brief requires well-researched and careful decision making. 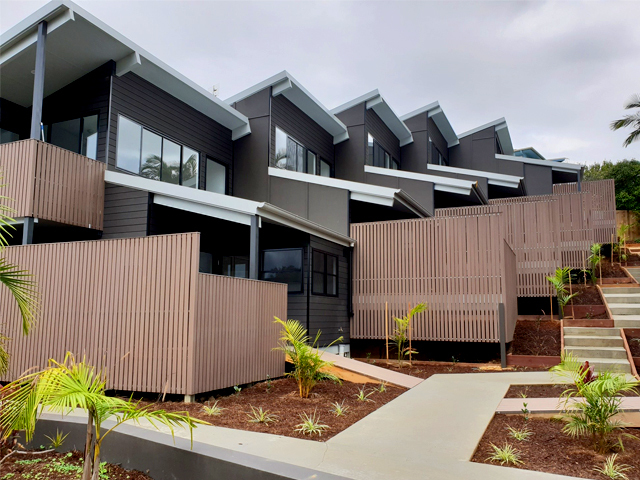 Fortunately, the Rajah Road townhouses in Ocean Shores have been able to tick all the boxes and the finished result is a stand-out development that has the local community talking. The builders and developers worked hard to construct townhouses that not only look fantastic but are cost effective and incorporate a number of eco-friendly materials. Understanding the environment that you are building in is a critical component when choosing your building materials, and with such a harsh coastal environment, the external cladding, decking and screening for these townhouses needed to be carefully considered to ensure that they would not maintain appearance and performance over time, and provide value for money. 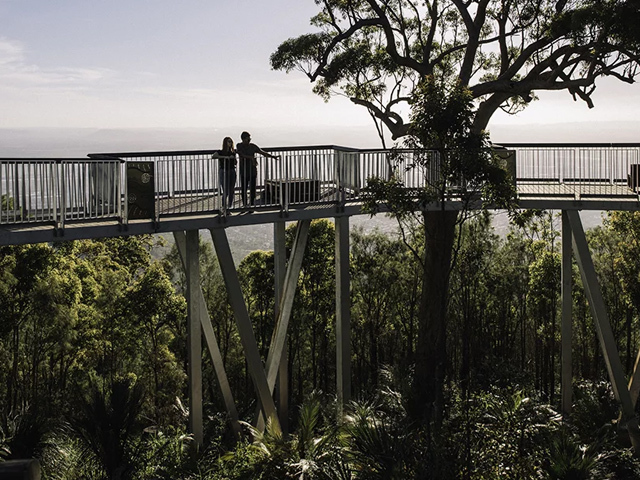 Hardwood timber could not be considered as it would require a great deal of upkeep in the Ocean Shore environment and with the additional sub-tropical moisture, timber would be highly susceptible to rotting if left untreated. 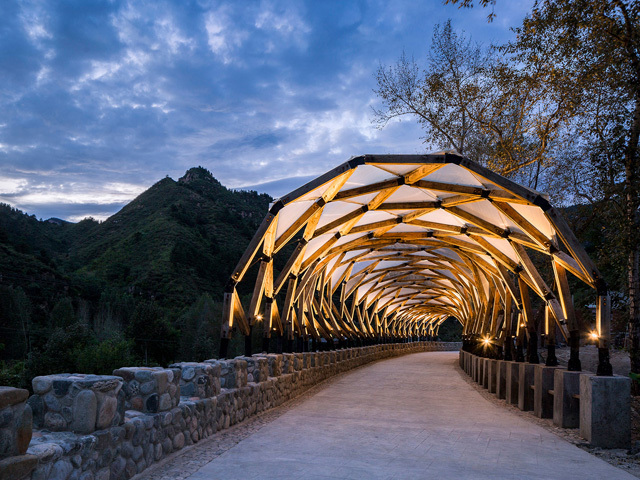 Any other material that would require the additional cost of finishing followed by regular maintenance would be an ongoing cost issue for the body corporate and could scare away potential buyers, thereby reducing the value of the finished product. 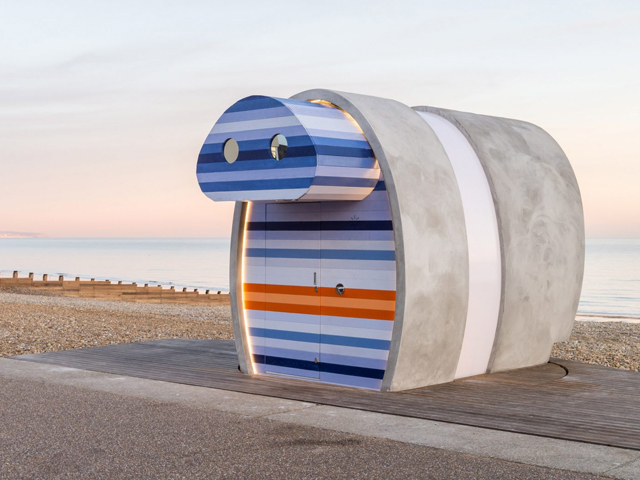 A range of Futurewood solid composite timber building products were chosen for the project. 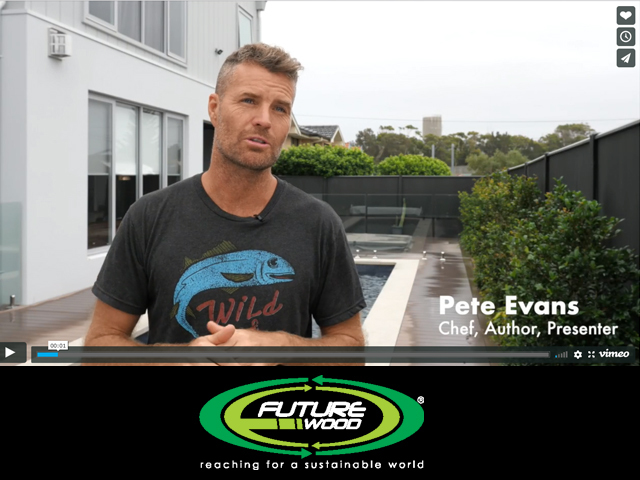 Made from 90 percent recycled or reclaimed material, the Futurewood products fitted perfectly with the green nature of the region, and the long-life credentials of the Futurewood decking and cladding made them a perfect choice for these homes. Futurewood boards are made from a percentage of recycled plastic mixed with wood fibres and rice husks, and the colour is mixed right through each of the boards, ensuring that they will not rot and eliminating the need for ongoing painting or staining, which will save the builder and the body corporate time, money and risk. 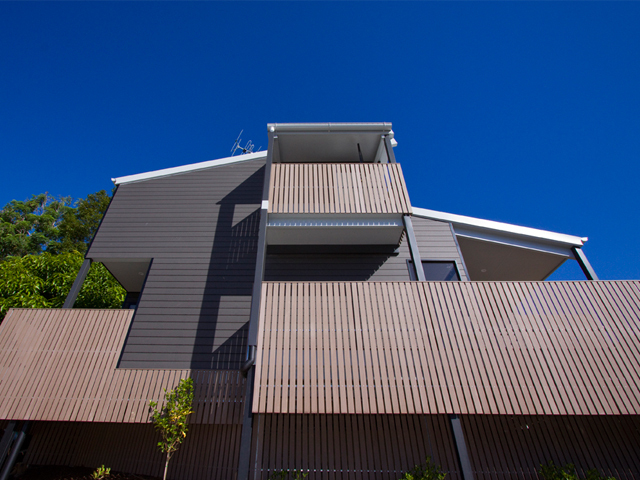 EnviroSlat 156mm Weatherproof wall cladding was supplied in the colour Slate Grey, along with 70mm x 15mm solid screening slats in Saltbush. This matches the CleverDeck 138mm x 23mm x 5400mm long solid composite timber decking boards that feature heavily on and around the townhouses. 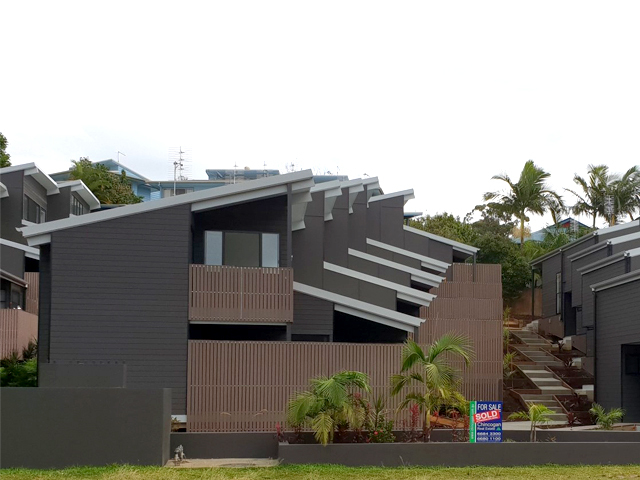 The project was completed in April 2018 with a total of 14 double-story, one-bedroom town houses built across the block.